Exceeded Expectations! 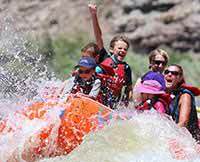 A Rafting Trip is the Only Way to Expereince the Grand Canyon! I traveled with Western River Expeditions 18 years ago on the Green River in Utah for 3 nights, and knew I always wanted to do another trip. I can't imagine anyone saying yes, I've seen the Grand Canyon, if they've never been on a rafting trip! The "J" rig raft offered many seating areas. You could get drenched and knocked around if you wanted to, or sit in other "safer" places. 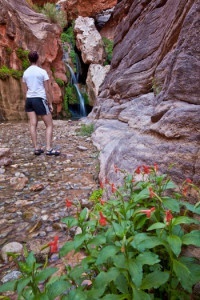 The many hikes to various waterfalls were outstanding. Do not pass these up. I was always impressed when the guides knew just when we needed some kind of a break. One hot day, they pulled out chilled chocolate bars. Meals were outstanding and never the same....ice cream, shrimp cocktails, pork chops and steaks were highlights. Don't do this trip if you're not a fan of sand, sun, camping, and water. Do this trip if you like rapids, waterfalls, hiking, stars, moonlight, beautiful scenery, and fab meals. This is an adventure and an expedition!